Foreign Exchange – The Ultimate Alternative Vehicle. The largest financial market in the world, Foreign Exchange historically has been the sole playground of large financial institutions, Central Banks, corporations, hedge funds, and interested wealthy individuals. Businesses traditionally have used the foreign exchange market to hedge currency risk associated with the production and sale of their products in the international marketplace. Now, with electronic trading and the Internet, anyone with some money and the inclination can trade in the Forex (FX) market by utilizing any number of online brokers. Driven by international trade and banking, the need to exchange currencies has created this large, very liquid market that routinely sees volume in the trillions of US dollars per day. If you travel to a foreign country and exchange your currency for the local currency at your hotel or local bank, you’re participating in this worldwide market. In the trading arena, the largest volume of Foreign Exchange is in the spot, or cash, market, representing buying and selling the actual currencies at the current prices determined by supply and demand. Other vehicles used in the Forex market are Forward Contracts, which are traded Over-the-Counter (OTC) with the terms of the contract determined between the two parties involved, and Futures Contracts that are traded through established exchanges, such as the Chicago Mercantile Exchange, with set contract terms as we’ve seen with the more familiar Futures markets (see Delving into the Futures Market for more on this market). And, don’t forget about the Currency ETFs that act like stocks and the other ETFs we’ve studied and include Options to give you added leverage without the unlimited risk inherent in the Spot market (see The Wonderful World of ETFs and Understanding Options for a review). 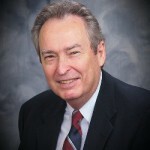 Although the Forward and Futures markets are now primarily used by businesses to hedge their foreign exchange exposure for certain transaction periods and are still used by individuals and speculators, the Spot market has overtaken those markets in volume in recent years with the availability of electronic trading and the improved versatility of those products. In fact, when people speak about the Forex Market, they’re usually referring to the Spot Market, which is where we’ll concentrate our efforts. The Foreign Exchange Spot market is made up of Currency Pairs, as in the Euro vs. the US Dollar (EUR/USD), which act as one unit for trading purposes. You’re always Long one currency and Short the other. Traders favor liquidity for ease of entry and exit from their positions and gravitate toward the highest volume Currency Pairs. The most popular pairs are split between Major Currency Pairs which include the major currencies paired with the US Dollar and Major Cross Currency Pairs which do not include the US Dollar. You can see in the table below the high volume numbers that make the “major currency pairs” the most popular. As opposed to the other markets we’ve looked at, the Foreign Exchange Spot Market, also a part of the Over-the-Counter (OTC) market, has no central marketplace or exchange to facilitate the transactions. No regulatory agency exists, due to sovereignty issues; so, trading is conducted through computer networks around the world between the two parties to the transaction. The primary volume in foreign exchange is in the Interbank Market, made up of large financial institutions trading large quantities and managing the risks associated with currency fluctuations. The market is open around the clock, five and a half days per week, and currencies trade in the Interbank Market through the major banking centers in time zones around the globe. The secondary market that has developed, allowing the retail trader to participate in the Forex market, gains its stability from the Interbank Market, assuring the liquidity necessary for transactions to be completed in all “major currencies” with no problems. The concern of retail traders about these unregulated markets stems more from the brokers that have entered the retail marketplace and the risks inherent in the leverage that is offered to entice players. Dealing with reputable brokers and managing the leverage you use is critical to your success in trading the foreign exchange markets. This Over-the-Counter (OTC) Spot Market has gained in popularity, due to the leverage available and the liquidity provided by the very active worldwide foreign exchange market. The volume numbers are so high that prices are determined solely by supply and demand, eliminating any chance of manipulation, even by central banks. This all makes for one of the least volatile markets available to the individual trader and speculator. The daily fluctuations in the exchange rates typically don’t exceed one percent of the underlying currency; so, the industry has accepted as standard the high leverage in order to make the minimal fluctuations worthwhile for trading. Forex traders are generally Swing or Day traders and use the leverage to their advantage by knowing the market and controlling risk through detailed knowledge of the macroeconomic factors that impact currency fluctuations. I call Forex the “Ultimate Alternative Vehicle” for its versatility and stability in its own markets and its intermarket relationships that can be used to evaluate a total portfolio across multiple markets. The Forex markets can and do influence the other markets involved in international trade; i.e. Commodities, Bonds and Interest Rates, and Stocks, along with the major stock market Indices around the world. The complex nature of these macroeconomic relationships puts a premium on education and having access to daily analysis to evaluate global forces influencing all of the related markets. Here at The Diversified Trader, I like to have all the pieces to the puzzle, and Forex trading adds another all important component. The other pieces will fall into place as you build your Wealth Building Plan and start managing your financial future with the puzzle solved and every piece in place. The Versatility and Benefits of the Forex Market. Forex trading for the individual trader in the Over-the-Counter (OTC) Spot market has been in its own world for a long time, out of the mainstream money management circles, and seemed to me to be almost a fringe market. My only exposure to the market had been in my business career and dealt with hedging currency risk for our international divisions. So, it took me a long time to seriously include Forex in my personal trading plans. Now, I know the versatility of the market and see how it can be that alternative in certain situations to increase the productivity of many different trading plans. Forex is popular as a standalone market for short-term traders and works well for both Intraday and Swing Trading. It can also be used as the beginning steps in a much larger, comprehensive trading plan for that short-term portion of your Wealth Building Plan. Foreign Currency Pairs (along with Stocks, ETFs, Options, and Futures) offer another vehicle to balance your Wealth Building Plan and increase the productivity of your portfolio. An advantage here is having limited markets to analyze and trade — you could very easily trade just the Major Currency Pairs. “Knowing your market” becomes a lot easier when macroeconomic factors are the only necessary input for your analysis. Contrast this with what you have to know when trading the Stock and ETF markets, where internal and market specific issues can complicate any fundamental or technical analysis. 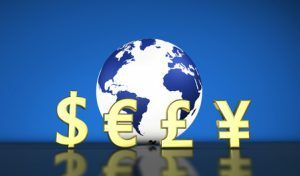 Besides being an alternative, if you’re starting with a small amount of money, the Forex market is also an excellent place to get started on a wealth building plan, because the high leverage and limited restrictions make the barrier to entry very low – margin requirements can be as low as $200 depending on leverage and your broker’s standards. Retail traders also have the advantage of trading smaller sized positions. The Mini lot size is ten percent of the Standard lot, and some brokers offer a Micro lot that is one tenth of the Mini lot size. Low transaction costs make the Forex market very efficient. 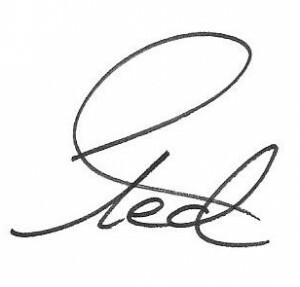 The Standard and Mini contracts trade without a commission and rely on the Spread between the Bid and the Ask price to cover transaction costs. Volume dictates the width of the spread, and trading with the high-volume major currencies keeps costs to a minimum. These spreads are generally much smaller than for stocks, options, and other securities, making the market much more cost effective. Only the Micro contracts have a commission structure. Trades 24 hours per day, five and a half days per week, with no breaks during the trading day. Even Futures contracts have a short break every day, and Stocks or ETFs have overnight risk to deal with. Having a continuous market allows for more efficient management of your positions during the week. Stop Loss orders work better – no non-trading gap to worry about. High leverage and liquidity make the Forex market very popular. Entering and exiting positions in any of the Major Currency Pairs is almost instantaneous and very efficient. Leverage is the highest available for any financial product and can produce nice profits, but the opposite is also true. Here’s where risk management comes into play. Losses can add up very quickly if you’re not careful; so, managing leverage to your own risk tolerance levels is of paramount importance. 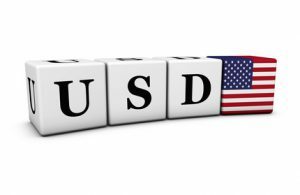 In the United States leverage is limited by the Commodity Futures Trading Commission (CFTC) to 50:1 for Major Currency Pairs and 20:1 for Minor Currency Pairs (anything not in the lists above), but anywhere else in the world there are no restrictions. Brokers out of Cypress, for example, have gone as high as 1000:1 to attract customers – be careful who you choose. As I mentioned above, the two main areas of concern are how much leverage you use for the size of your position and your choice of broker. There is no centralized market with oversight by regulatory agencies providing protection as we see in other markets, so you, the retail trader, have to choose your broker carefully. Brokers set their own leverage standards within the guidelines; so, always check these standards when comparing brokers. Being conservative in Forex trading is the best approach to keeping the risks in check. With so many not so well capitalized brokers from all parts of the world vying for your business, the best approach is to pick a broker that is registered with the National Futures Association (NFA) and the Commodity Futures Trading Commission (CFTC) in the U.S. and the Financial Conduct Authority (FCA) in the U.K. Most major brokers in the U.S. have Forex accounts available and meet the registration requirements. Currency ETFs, and Options on the ETFs, can be used to gain access to the foreign exchange market without the risks associated with the leverage built into currency pairs. The ETFs listed above with the Major Currency Pairs are rather stable and offer a way to learn about the foreign exchange market and track the currency pairs. These ETFs are all built around the US Dollar; so, when you look at a chart, the currency pairs not quoted against the US Dollar will show the inverse of the ETF. And, as with all Stocks and ETFs, you have overnight risk to contend with, but these gaps should be small due to lack of leverage and the stable nature of the market. Along with the US Dollar Index ETF (UUP), you can perform intermarket analysis with other relevant ETFs to find positive correlations among the different asset classes. Basic comparisons can be made between ETFs (SPY – S&P 500 Index), Bonds (TLT – 20 Year Treasury Bond Fund), and Commodities (GLD – Gold Trust; USO – US Oil Fund). Again, complex relationships develop and a good education is needed to understand all the ramifications. Developing your Wealth Building Plan and putting it into action by Getting Started building your wealth will get you on the right track to controlling your financial destiny. Having the best places to get the education and support services you’ll need to manage your wealth ensures that your plan will come true. As we saw earlier, the Forex market is made up of Currency Pairs. Each Pair, such as the EUR/USD in the example below, is made up of a Base currency on the left and a Quote currency on the right. The Euro is the Base currency which always has a value of one. The US Dollar is the Quote currency and is expressed as the number of US Dollars it takes to buy one Euro. Even though the example is from 2011, the structure of the currency pair is clear. The Spread between the Bid and Ask prices is expressed as 1 PIP, which is the smallest measure of movement in any currency pair. Currencies are quoted to the fourth decimal place (one hundredth of a penny – .0001), which becomes the PIP or “Percent in Point”, sometimes referred to as one Point. Only the Japanese Yen is quoted to two decimal places because of its relative numerical value to other currencies. In this case, the USD is the Base currency; so, the pair is quoted in how many Japanese Yen it takes to buy one US Dollar. One recent quote I saw had the USD/JPY at 101.622 Bid and 101.639 Ask. The extra decimal is the “fractional PIP” that is part of the quote mechanism. The Spread in this case then becomes 1.7 pips. The size of the transaction matters when trading currencies along with the leverage that each currency pair carries. The Standard lot is generally used for Interbank transactions and by most professionals, while the Mini and Micro lots are used by the retail trader. Add in the significant leverage the major pairs carry, and the advantages of this market come into focus. In the example above, the EUR/USD carries the maximum leverage of 50:1 allowed in the U.S. or 2% of the US Dollar value (non USD pairs must be converted). This makes for a very favorable Margin requirement, especially for the individual trader. With the Mini and Micro lots available to the retail trader, trading becomes manageable, and you can still take advantage of the leverage without significant risk on any one position. And remember, you are always Long one currency and Short the other. To round out the technical aspects of the Forex Markets, one last subject that you should be aware of to complete your basic knowledge base, which doesn’t affect most retail traders, is the Trading Interest on Currency Pairs or what is called the Carry Trade. 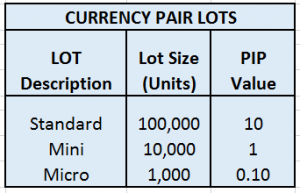 Whenever you buy or sell a Standard Lot (interest doesn’t apply to Mini or Micro lots) interest is earned or paid on each side of the pair. You’ll earn interest on the Buy side and pay interest on the Sell side. If you’re Long the EUR/USD, you’ll earn interest on the EURO and pay interest on the US Dollar. If the interest rate in Europe is higher than it is in the U.S., you’ll make money on the difference and vice-versa, if the interest rate is higher in the U.S.
For example, among the major currencies, the difference in central bank rates between New Zealand and Japan is the most significant, and traders would be gravitating toward buying the NZD/JPY, since New Zealand has a positive interest rate higher than most and Japan is struggling with zero to negative interest rates. For Interbank and other large transactions, changes in interest rates among countries will influence the related exchange rates and become an integral part of the analysis needed to trade in this market. If you’re new to all this and would like to learn how to get involved, have a look at Education – The Path to Independent Wealth Management to get an overview of the steps I’ve laid out to get you there. Then, Sign Up in the Right Sidebar to get my quick-start, auto e-mail to light the way to Navigating The Diversified Trader and the easiest way to get started managing your own money.